Mene & Moy Endless Facial Moisturiser is a powerful moisturising balm containing silicone polymers, hyaluronic acid and oils to lock moisture within the skin. Ideal for dehydrated skin and visible pores and strong enough to last throughout the day. B-glucan to increase skin’s natural defences and protect it from environmental aggression. 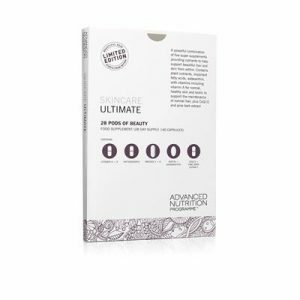 Vitamins A, B and E to protect skin. 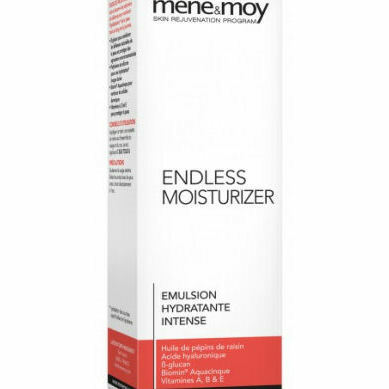 Mene & Moy Endless Facial Moisturiser is a powerful moisturising balm containing silicone polymers, hyaluronic acid and oils to lock moisture within the skin. Ideal for dehydrated skin and visible pores and strong enough to last throughout the day. This specially blended Silicone Crosspolymer system will deliver moisture on an endless basis. 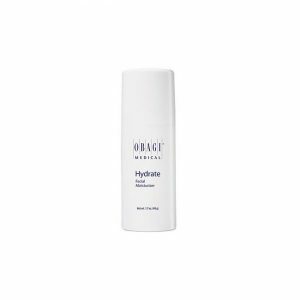 Its elegant texture allows for re-wetting so that the hydration can continue for as long as the polymer is not washed off the skin. 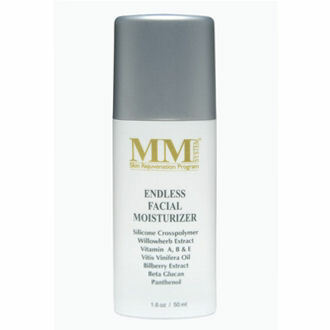 This moisturizer contains Grape Seed Oil, Olive Oil, Sodium Hyaluronate, Vitamins A,B,E and Beta Glucan, amongst other important ingredients. 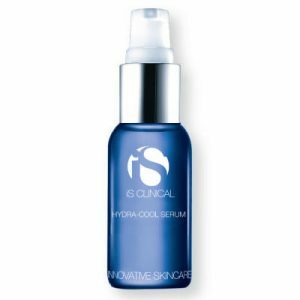 Beta Glucan helps boost the skins natural defence system, protecting against environmental damage. Silicone Crosspolymer, offers endless hydration. Biomin Aquacinque, reacts with skin protein and strengthens skin cells. Vitamins A,B,& E protects the skin. Apply either once or twice daily as part of your normal skin care regime. Use on the face, neck and hands. Since 1985, Romulo Mene, a Brazilian cosmetic surgeon, and Laurence Moy, an American dermatologist, have been lending their expertise to research into cutaneous ageing. Today, the fruit of their labours is embodied in the dynamic cosmetology range. A veritable alternative to surgery, the effectiveness of this program resides in the high concentration of the active ingredients used, notably stabilised vitamin C and glycolic acid which form the basis of each formula elaborated by mene&moy. On a daily basis, the program revolves 2 periods: a revitalising treatment in the morning and an exfoliating treatment in the evening. The mene&moy anti-ageing program considerably enhances the synthesis of collagen, elastin and hyaluronic acid to give firmer skin and an even skin-tone. Water (Aqua), Cyclomethicone (and) Dimethicone/Vinyl Dimethicone Crosspolymer, Crosspolymer, Glycerin, C12-15 Alkyl Benzoate, SaccahrideIsomerate, Sodium Dihydroxycetyl Phosphate, Vitis Vinifera (Grapeseed) Oil, Olea Europaea (Olive) Fruit Oil, PEG-40 Stearate, Triethanolamine, Isostearic Acid, Butylene Glycol, Cholesterol, Acrylates/C10-30 Alkyl Acrylate Crosspolymer, Diazolidinyl Urea, Carbomer, Tocopheryl Acetate, Sodium Hyaluronate, Epilobium Angustifolium (Willowherb) Extract, Vaccinium Myrtillus (Bilberry) Extract, Panthenol, Niacinamide, Hypnea Musciformis Extract (and) Gellidiela, Acerosa Extract (and) Sargassum Filipendula Extract (and) Sorbitol, Saccharomyces / Silicon / Magnesium / Copper / Iron / Zinc Ferment, Avena Sativa (Oat) Kernel Extract, Sodium PCA, Allantoin, Urea, Trehalose, Polyquaternium-51, Citrus Aurantium Amara (Bitter Orange) Oil, Geranium Maculatum Oil, Lavandula Angustifolia (Lavender) Oil, Retinyl Palmitate, Aloe Barbadensis, Methylparaben, Propylparaben, Tetrasodium EDTA.